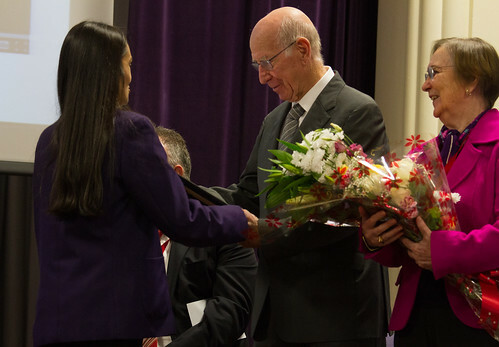 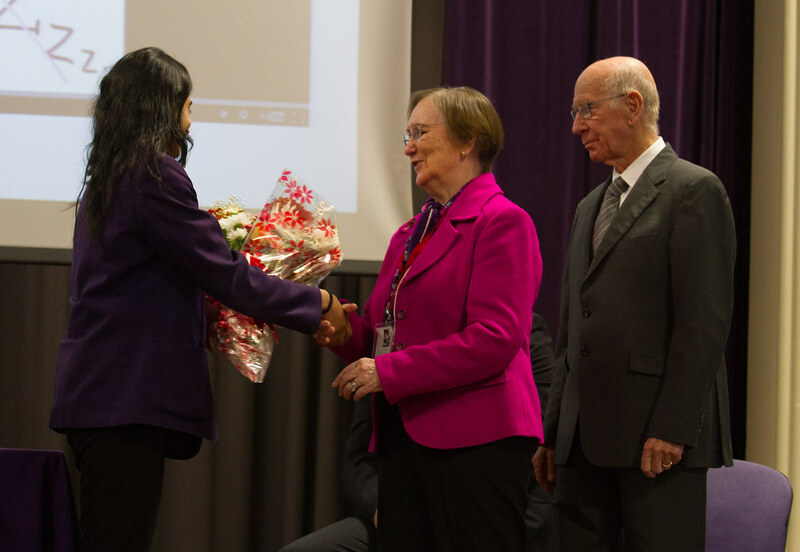 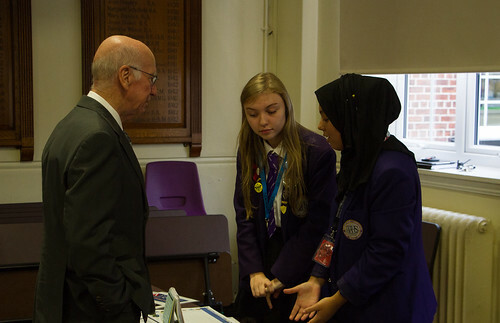 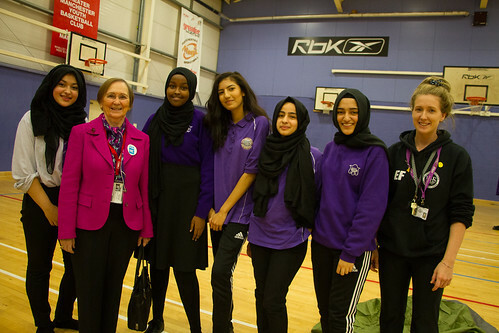 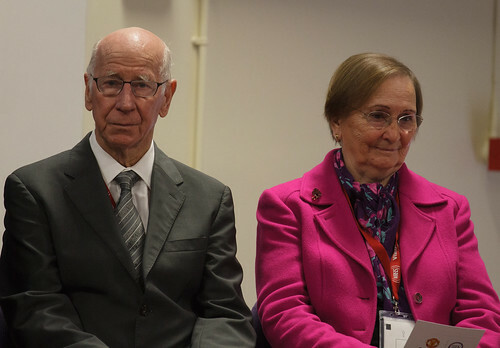 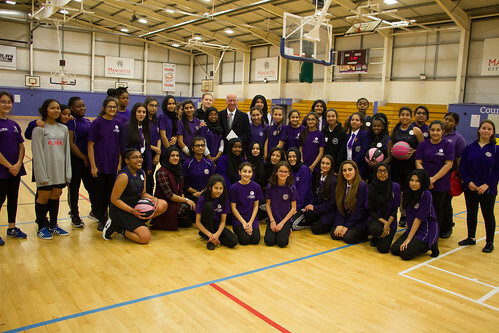 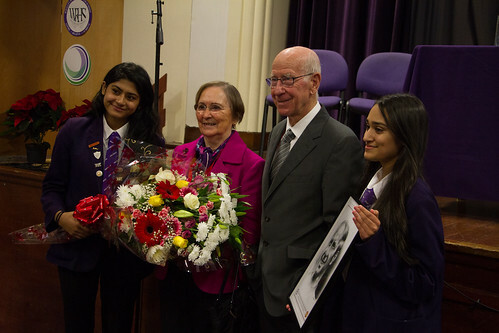 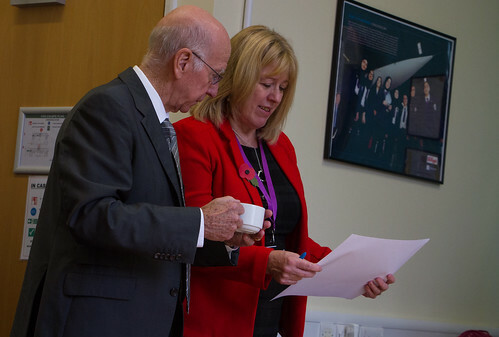 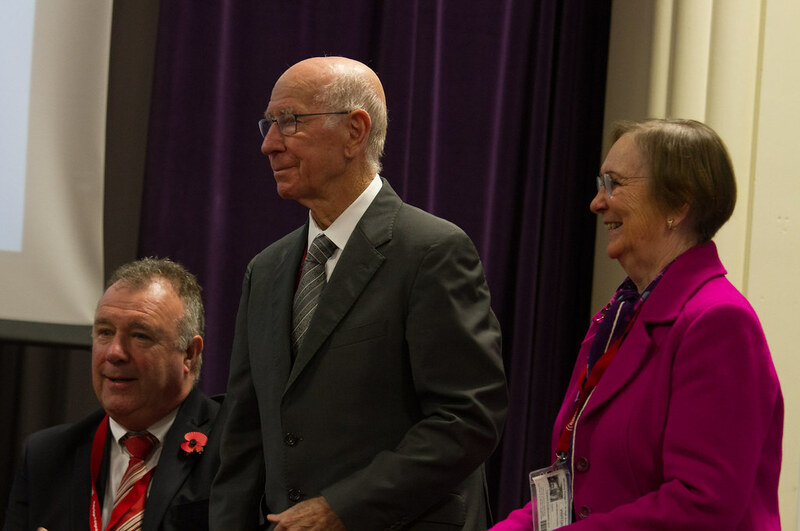 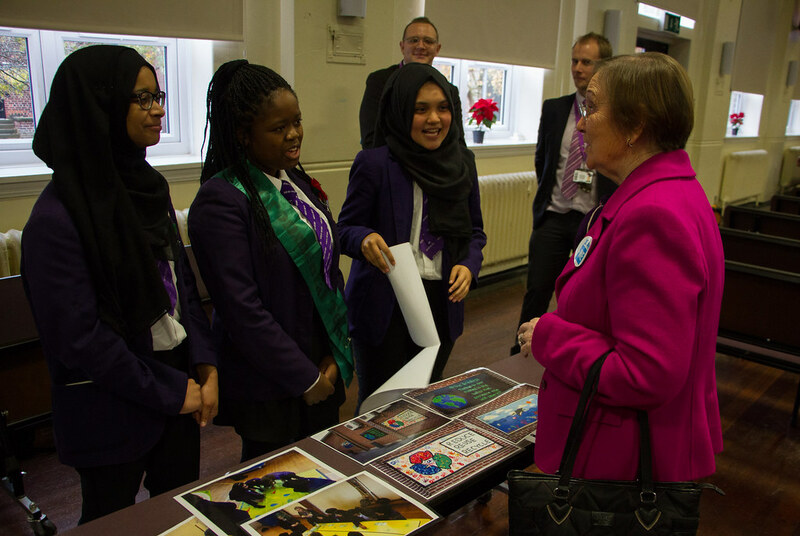 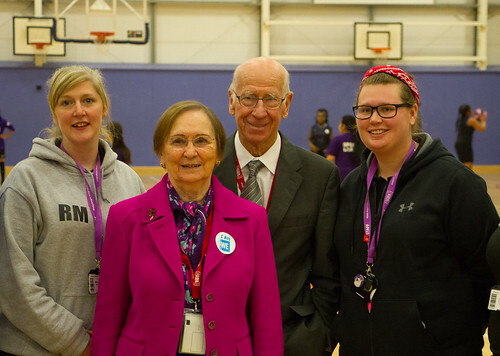 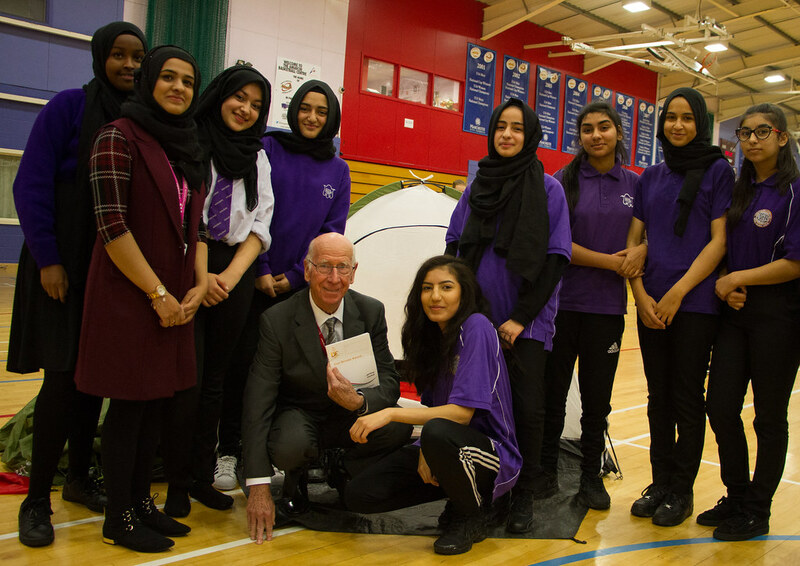 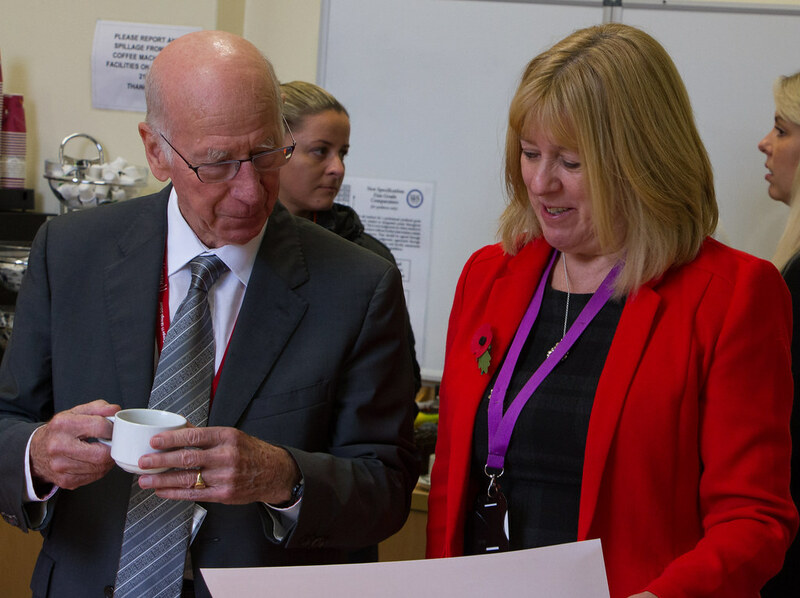 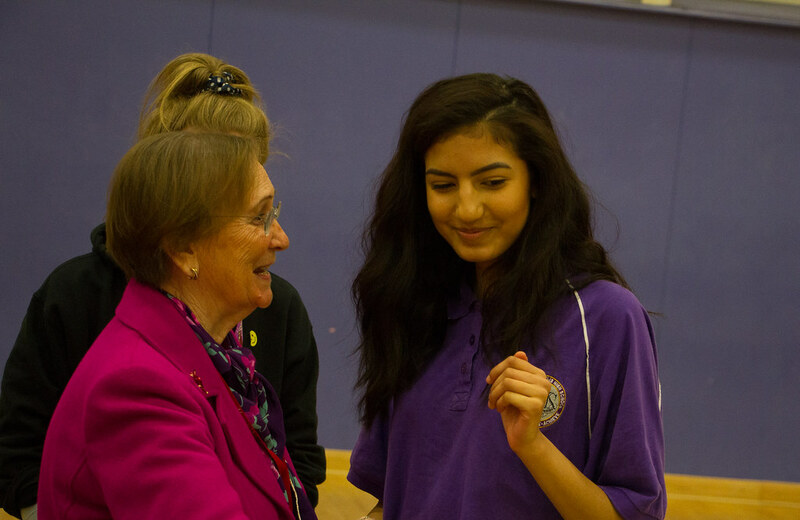 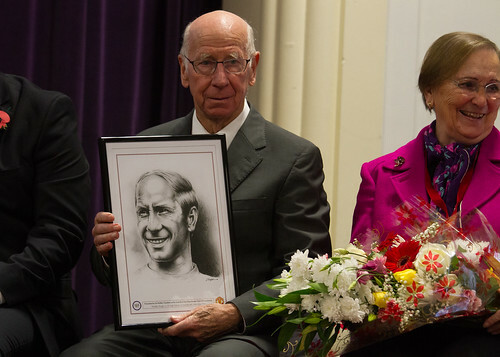 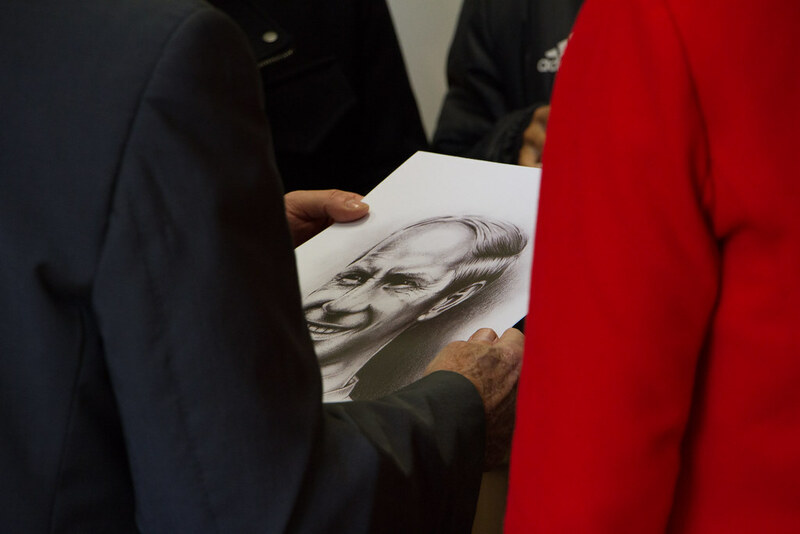 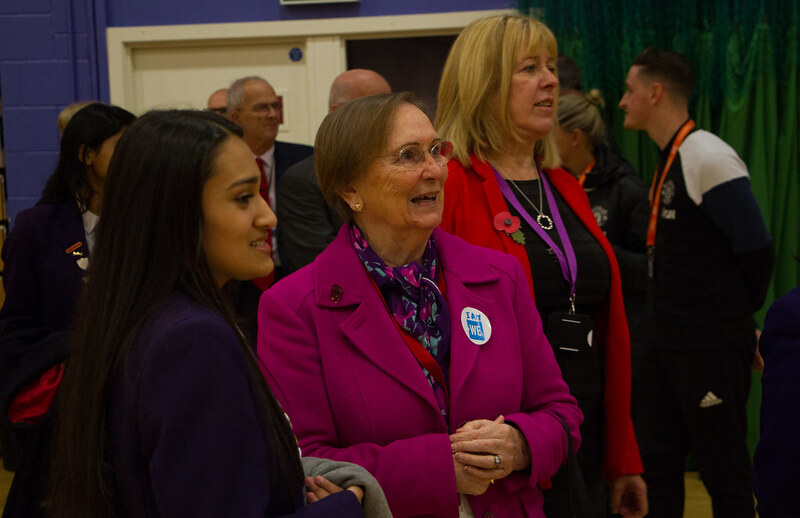 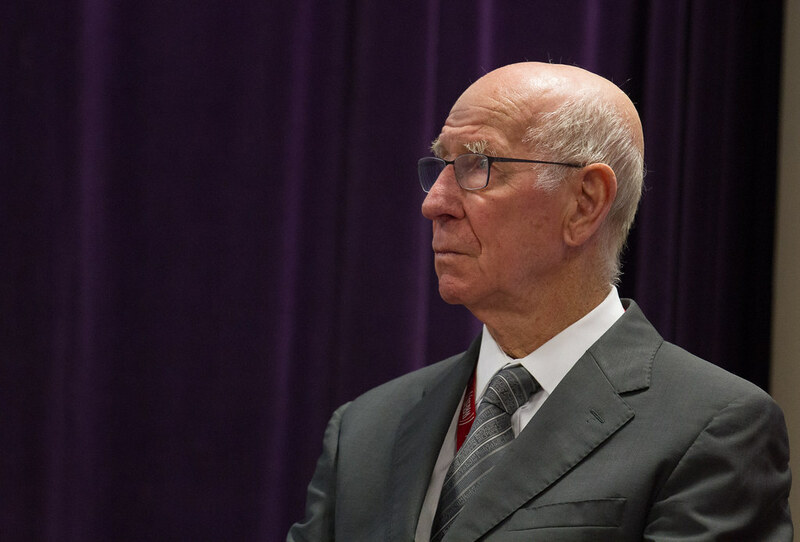 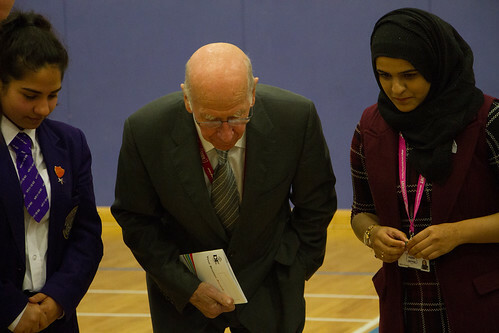 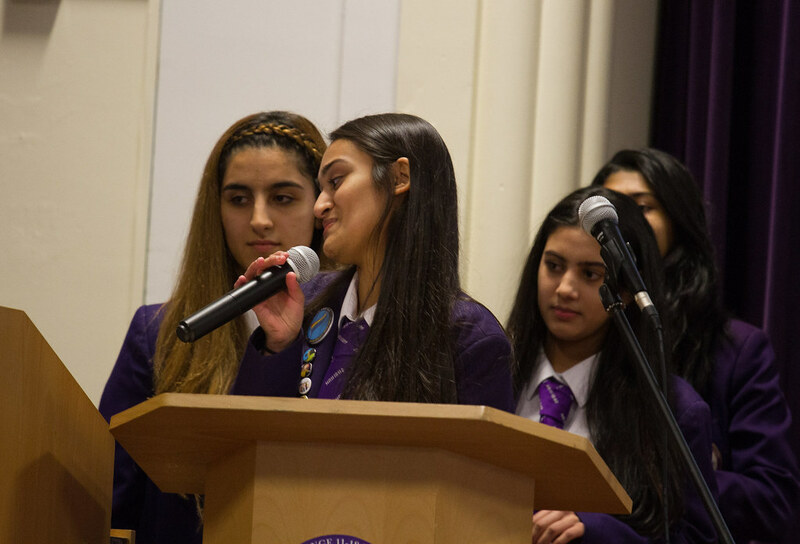 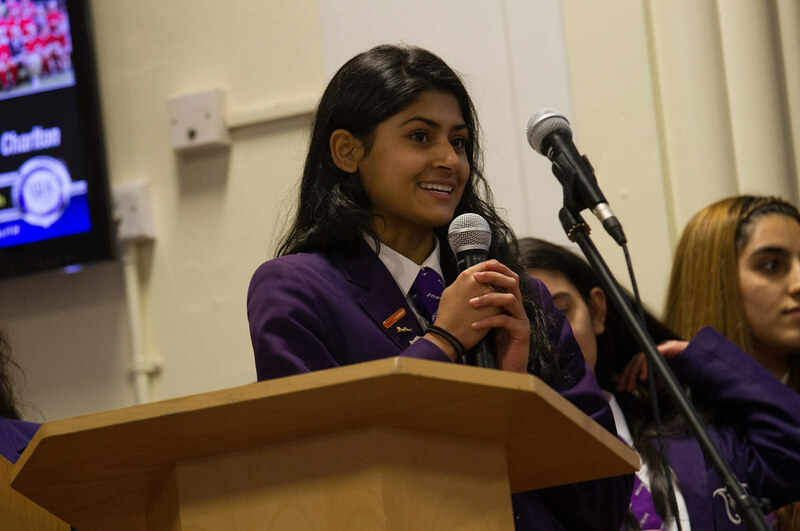 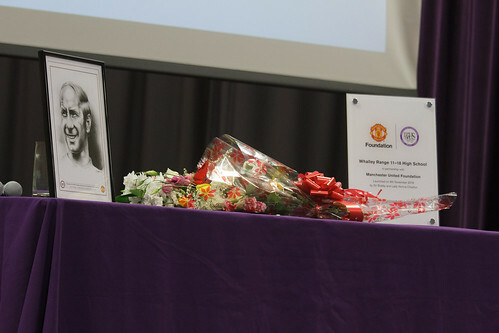 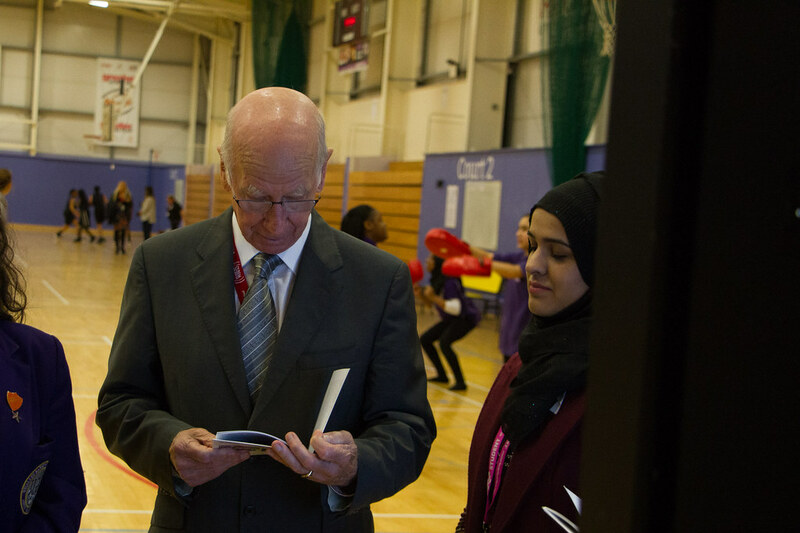 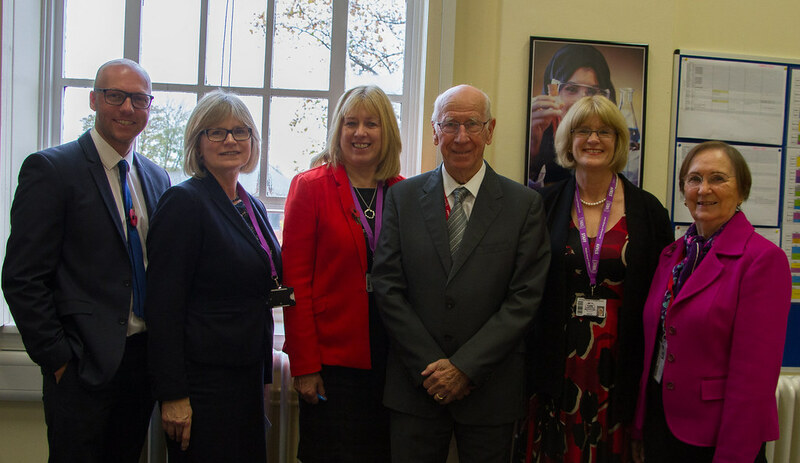 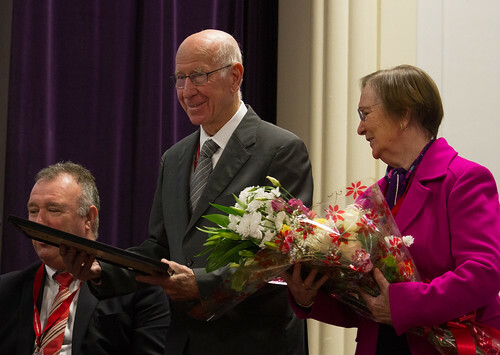 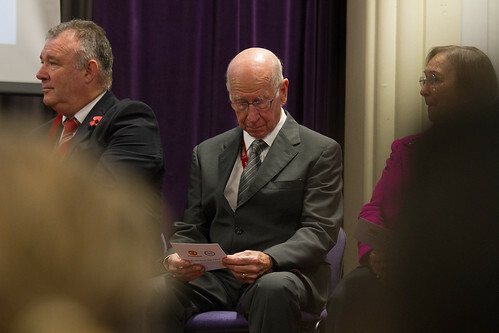 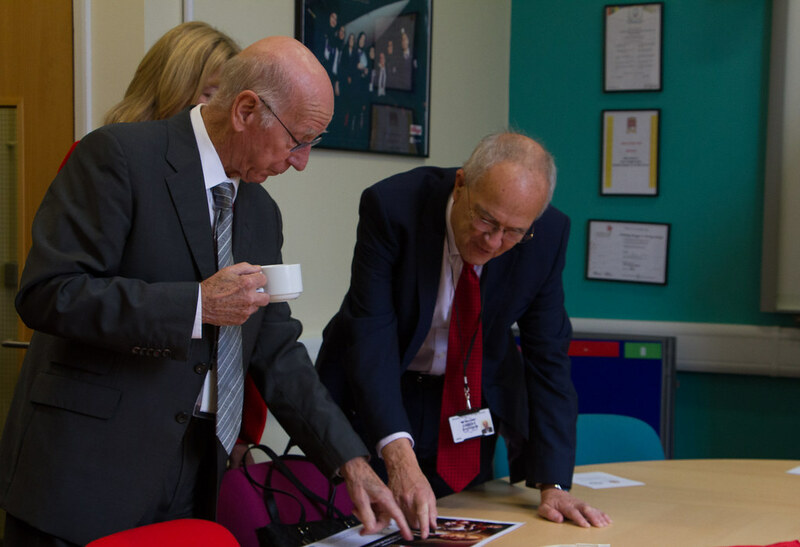 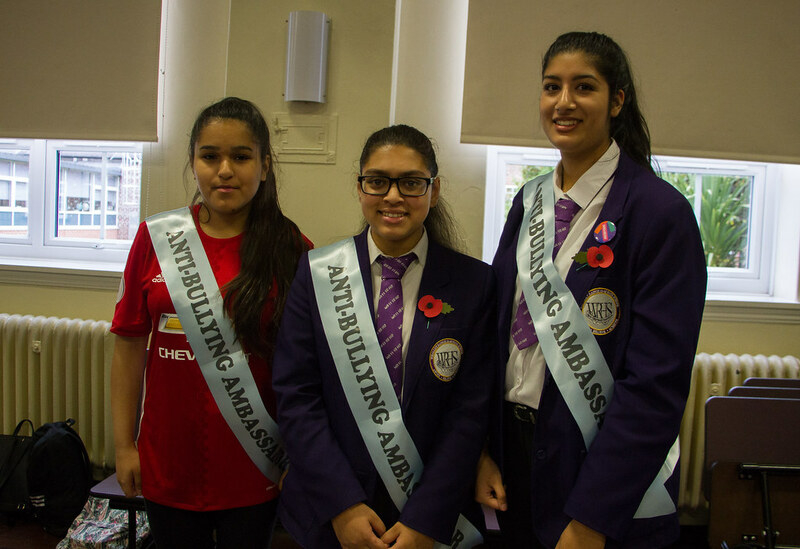 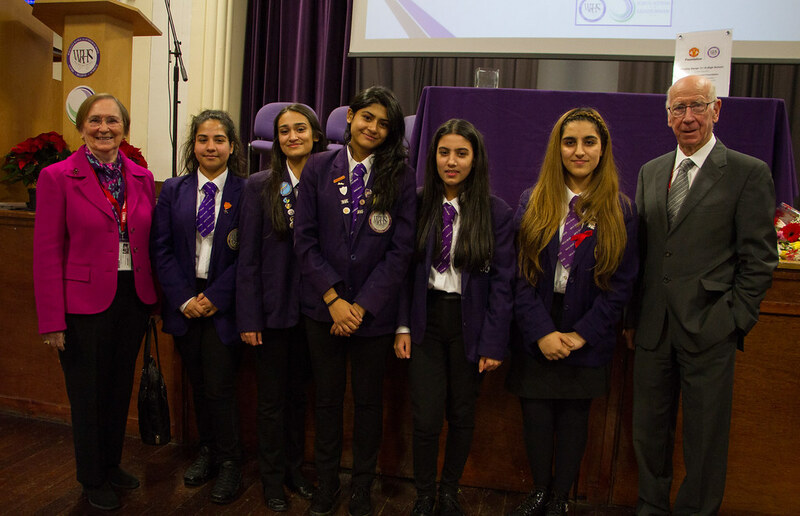 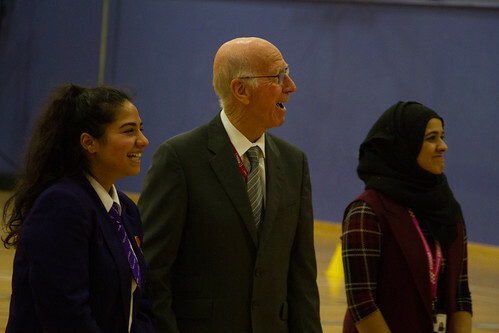 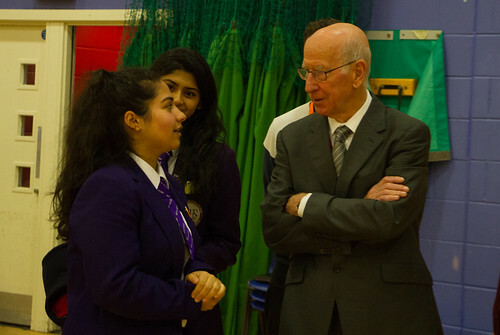 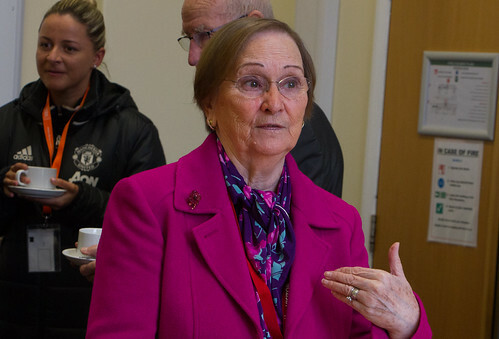 Whalley Range 11-18 High School were thrilled to welcome Manchester United legend Sir Bobby Charlton and his wife, Lady Norma Charlton, for the official launch of our partnership with the Manchester United Foundation. 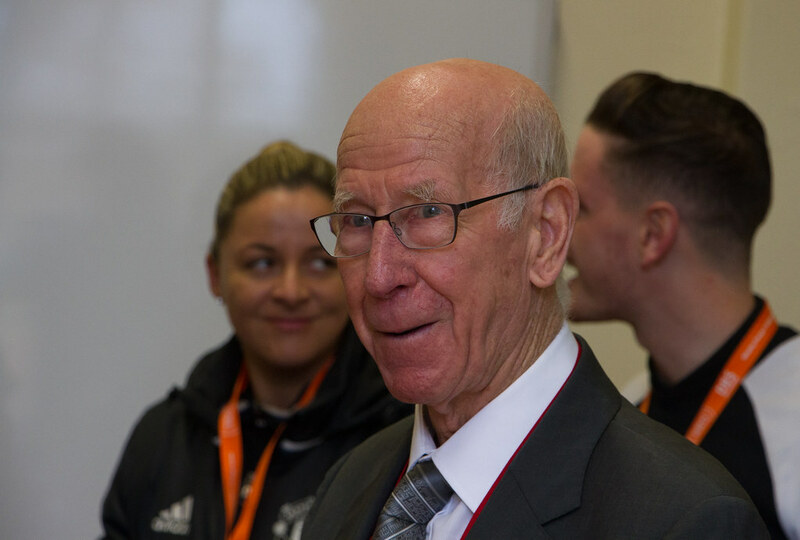 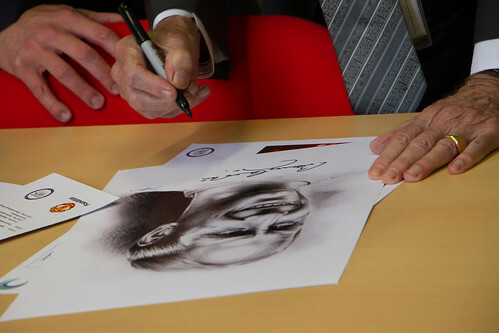 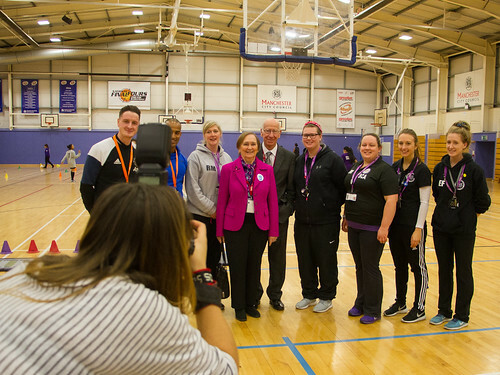 The event saw Sir Bobby, one of the greatest footballers of all time, launch the partnership with staff, students, representatives from the Manchester United Foundation and MUTV. 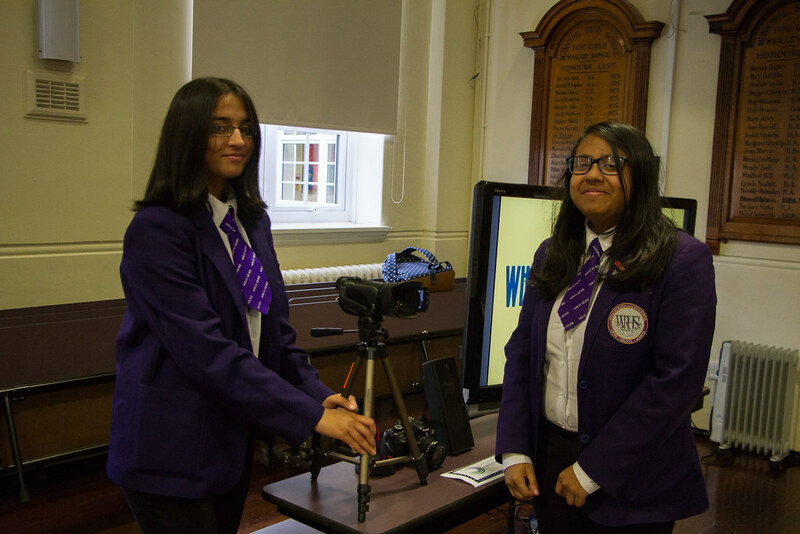 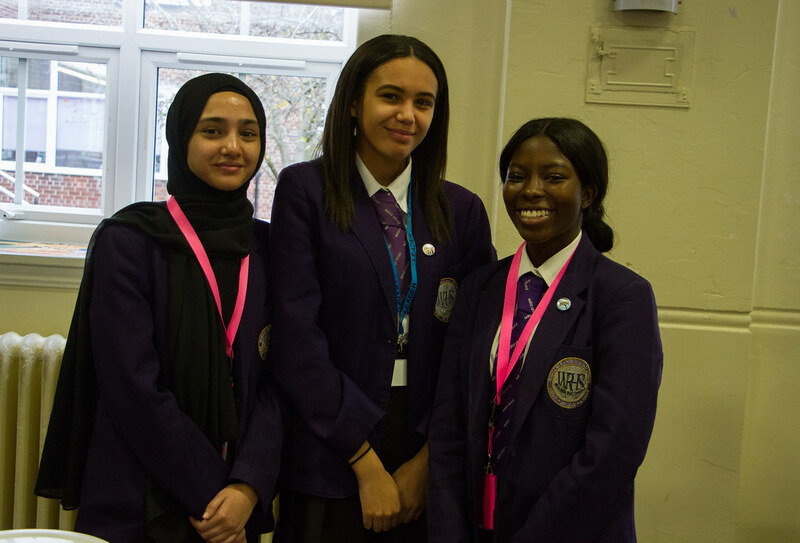 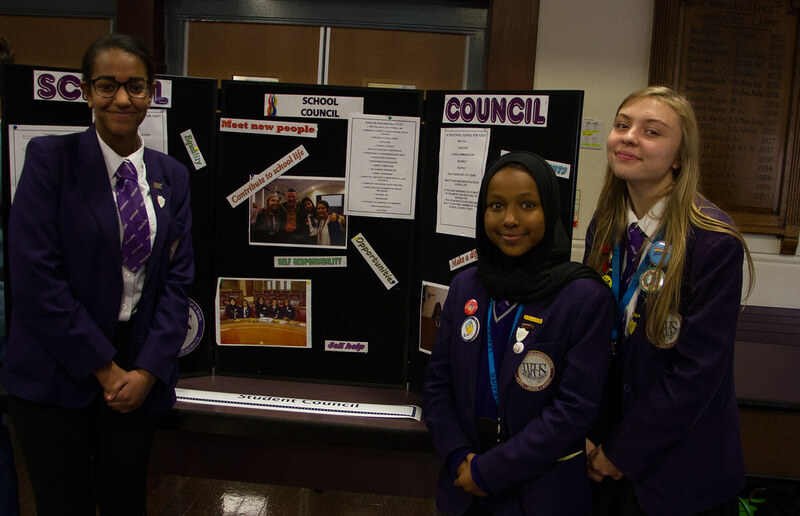 Our Student Senior Leadership Team (SSLT) welcomed our guests with a wonderful multimedia presentation, which covered our values, leadership opportunities and recent school projects such as raising the profile of Stress Awareness Week. 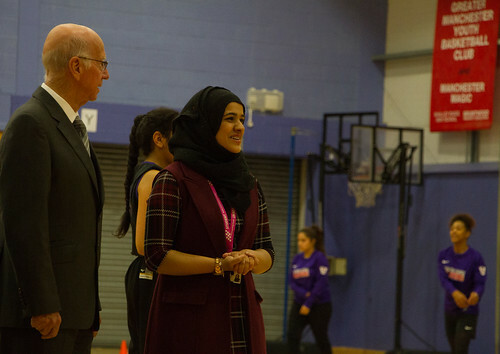 Confident demonstrations followed from our student leadership teams as well as a tour of the school’s sporting facilities, allowing the couple time to observe PE activities in the stadium and converse with staff and students. 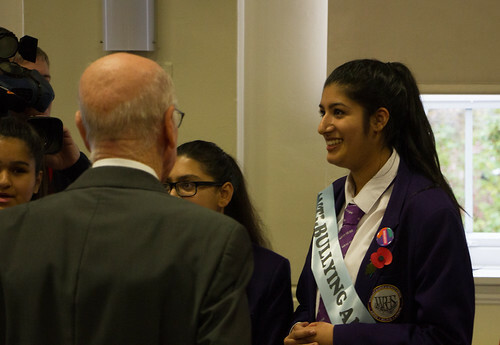 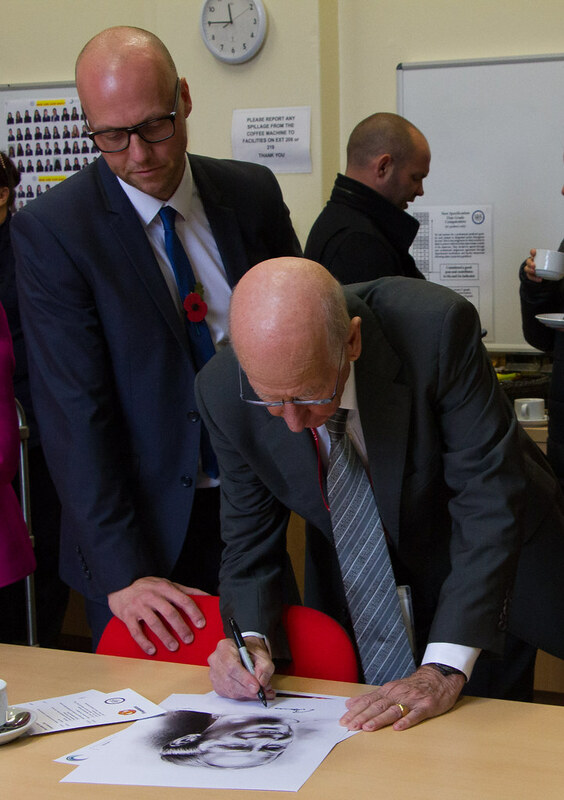 It was a dream for pupils and staff to welcome such a hero and legend like Sir Bobby to Whalley Range. 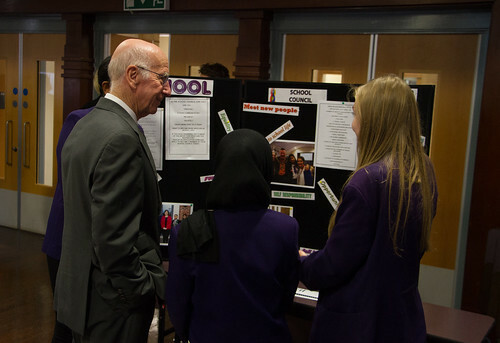 The buzz around the school has been incredible! 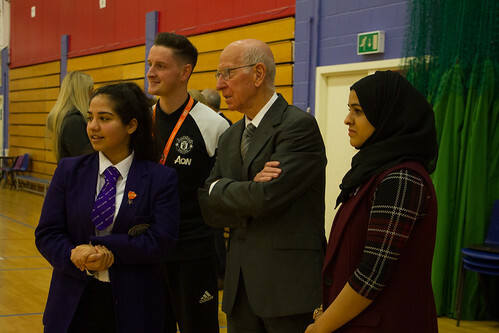 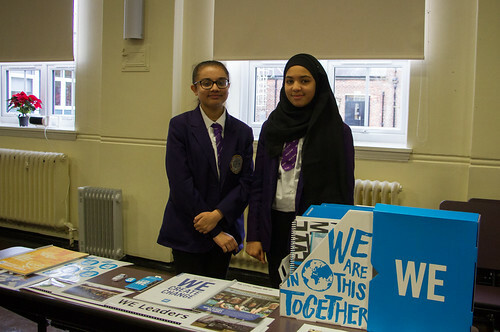 We are so excited about the partnership with Whalley Range 11-18 High School and the amazing opportunities we will get to partake in through the Manchester United Foundation. 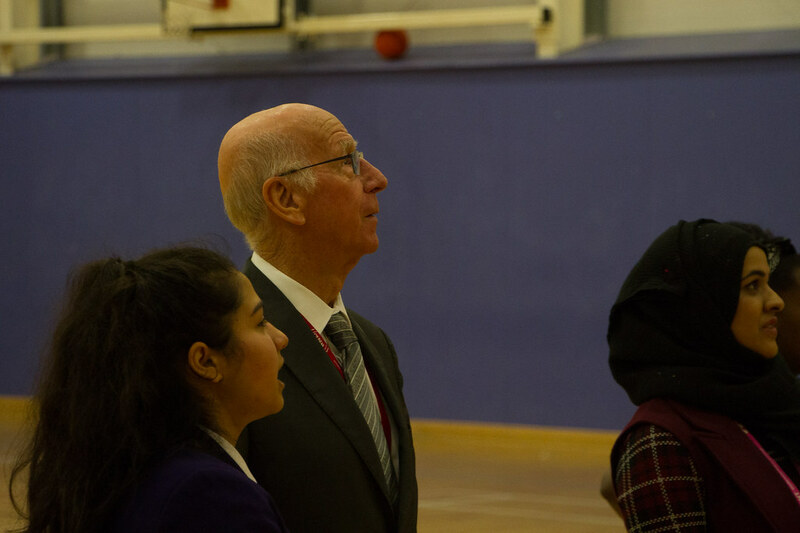 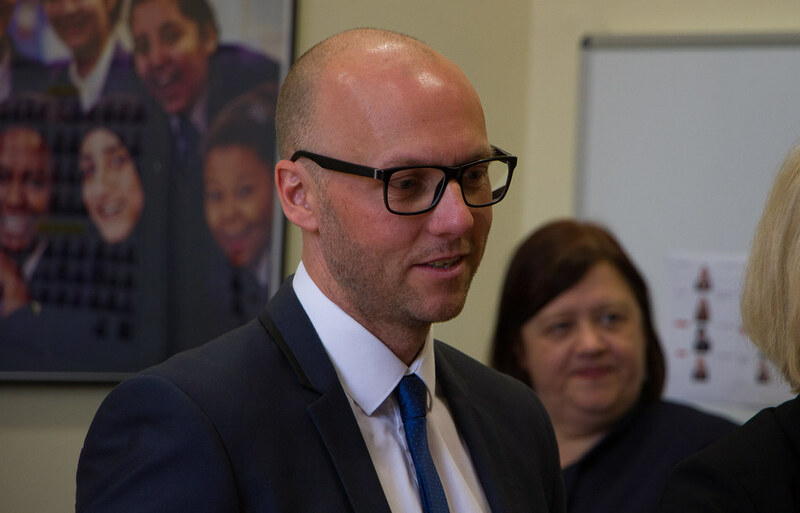 We are one of the latest schools to benefit from the Foundation’s partner school programme, which sees full-time coaches like Jason spend time working with pupils in our school community. 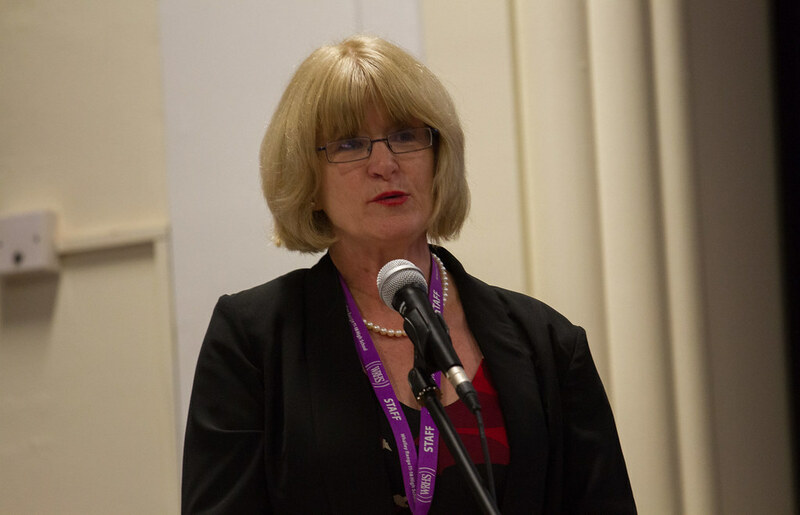 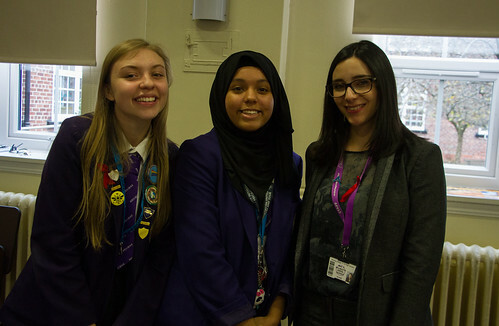 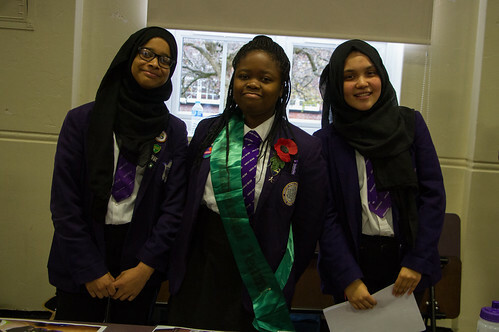 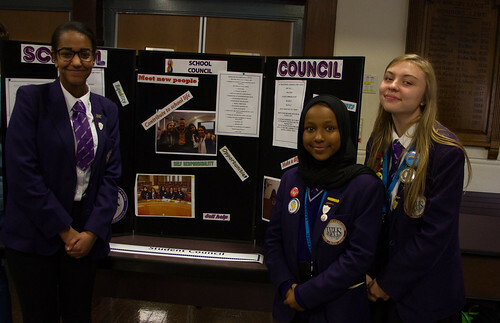 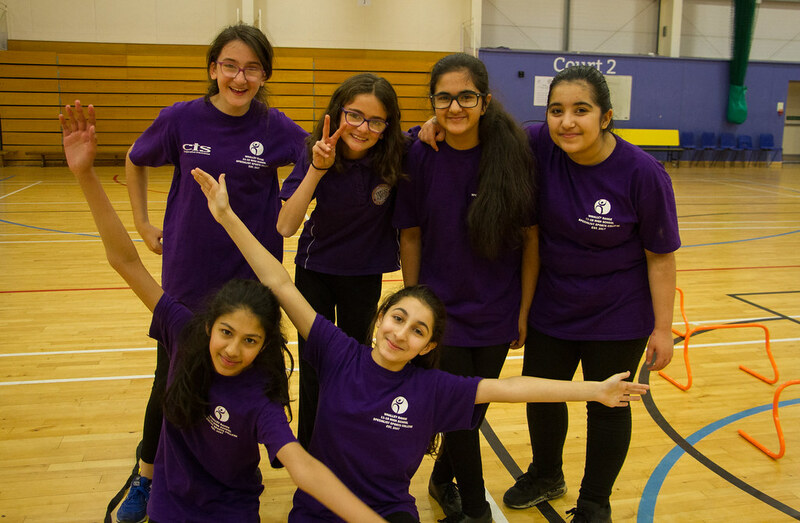 They deliver a schedule of innovative projects, providing support with activities such as enrichment, personal development, sports team coaching and after school clubs. It was a fantastic honour to meet Sir Bobby (a World Cup winner in 1966) and we look forward to a strong and fruitful partnership with the Manchester United Foundation.